Nimbus West is a seminal record label in the subgenre of jazz called “Spiritual Jazz,” which often mixes different rhythms, vocals, and emotions into the standard palette. A band led by pianist and composer Horace Tapscott, the Pan Afrikan People’s Arkestra, formed the core of the label, which spiraled out from there into a galaxy of intense, joyful, emotive music. Amazingly, all of the music on the label is available on Bandcamp. 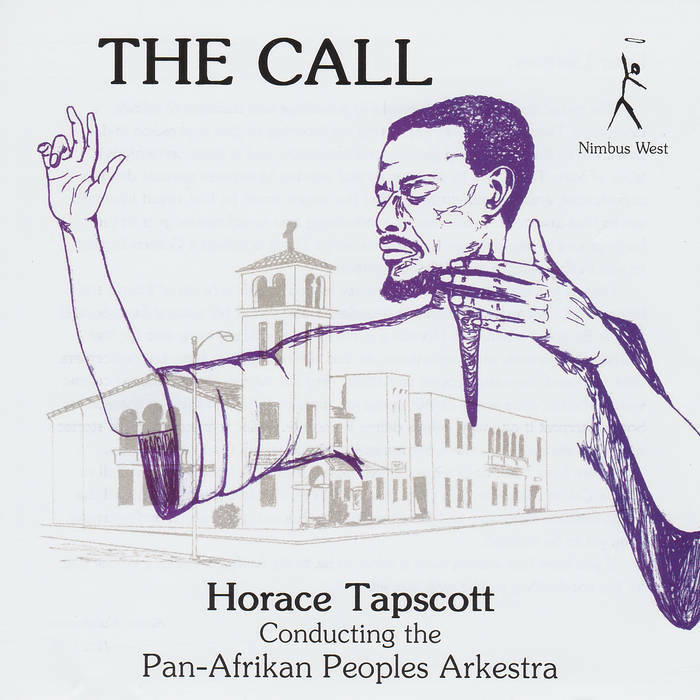 A favorite is The Call by the Pan Afrikan People’s Arkestra - a four song tour of the full range of possibilities engulfed in the catchall thing called “jazz.” It must be heard to be believed. If you dig the music, you can read more about the LA scene in “The Dark Tree: Jazz and the Community Arts in Los Angeles” and “Songs of the Unsung : The Musical and Social Journey of Horace Tapscott”. Hear The Call!